For CNC machining, there are lots of aspects that can affect the prices of your CNC prototypes. Helping customers to optimize the design and lower the manufacturing cost are our daily work. We have seen many CAD models with the unnecessary features but increase plenty of machining hours and machining cost, hereby, we want to share our experience on how to make CNC Prototyping China better and cheaper. 1. As many designed features would be preferable in one direction as possible, preferably it takes place in the very first operation. 2. Minimize the number of operations so the material doesn’t have to be flipped over and over again to machine features from all angles. 3. Avoid the unnecessary features such as deep and narrow grooves, undercuts, small raising texts and patterns, 0.5mm or even thinner wall. 4. 3D Surfaces add cost because the ball end mill has to trace the paths often 100s of times to achieve a reasonable finish. 5. Use standard nominal sizes for radius features of external radii, so special tools do not have to be ground. 6. Design so the part can be flipped at 90 degree angles. 7. Make sure they can be machined in a single plane. 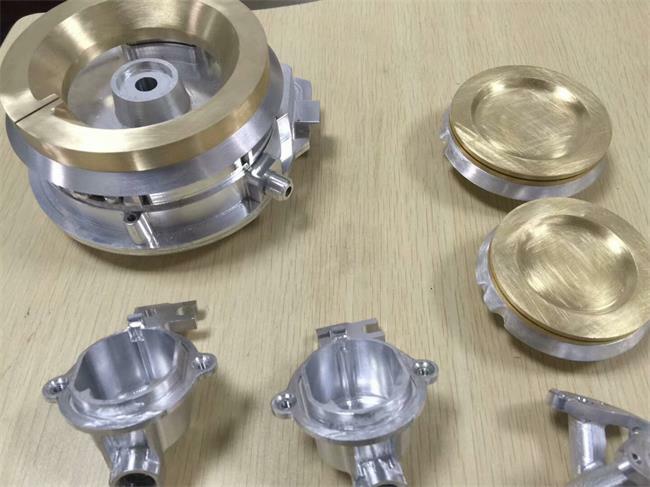 If you are a designer and working on your CNC prototyping project, please takes all these factors into account, they really affect the manufacturing cost and machining time. If you have any difficulties in moving on your project, you are warmly welcome to contact our engineering team at sales@teamrapidtooling.com for suggestions and solutions. We look forward to hearing from you and would be most happy to help you with.